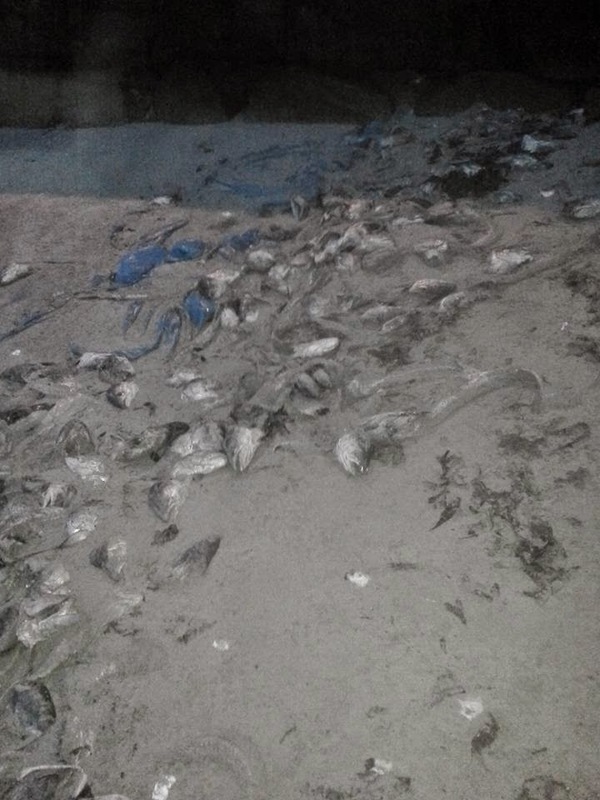 Galway Bay may now be infected with a deadly fish virus called Pancreas Disease (PD), due to the illegal and criminal dumping of farmed salmon carcases on Spiddal beach last week and and a number of other occasions in the recent past. Galway Bay Against Salmon Cages (GBASC) were first notified about this illegal dumping on Tuesday 28th of April by a member of the public who was out walking on Spiddal beach on the previous Saturday, but when we went to investigate the carcases had been washed away with the tides and eaten by crabs etc. Then on Thursday evening 21st of May an Inshore fisherman contacted our PRO Brian Curran to say that he had seen a named individual again illegally dumping farmed salmon carcases off Spiddal pier. The fisherman said he was extremely concerned as these carcases may harbour harmful viruses such as Pancreas Disease or other non listed viruses that may have a detrimental affect on wild fish species in Galway Bay. Inshore fishermen are prohibited from using farm salmon carcases in their lobster / crab pots as bait by regulation due to the dangers of disease transfer. When Mr Curran went to investigate that evening, he found a large amount of carcases, blue plastic wrapping and a plastic label which identified these carcases as having originated from a Marine Harvest (MH) salmon farm. (See pictures supplied below) GBASC are concerned that this illegal dumping of these carcases has occurred at a time when salmon smolts are migrating out to sea from the Co Galway Rivers and especially from the Boluisce river at Spiddal as Pancreas Disease is transmitted just as easily from dead fish as well as living fish. We are told by the Marine Institute that ''they receive occasional samples of wild salmonids and as part of a comprehensive diagnostic screening, these samples are tested for the presence of Pancreas Disease, and that no positives have been detected.'' (Letter from Minister Coveneys office 22/5/2015) GBASC question these results as most competent Marine scientists will say that it is near impossible to detect PD in wild salmon, as when they are infected they become weak and are quickly eaten by predators especially salmon / sea trout smolts. Marine Harvest have admitted in their Stock Market reports for 2014 and for the first quarter of 2015 that they have had outbreaks of the infectious Pancreas Disease on a number of their salmon farms in Ireland. GBASC have tried under Access to Information on the Environment Regulations (AIE Regulations) Ref :A0051 to find out from the Marine Institute which MH salmon farms had this terrible disease. The Marine Institute said that they couldn't give us the information as they were advised by MH ''that site specific health and mortality information is commercially sensitive in situations where they share a water body with other competitors.'' This statement from MH says a lot for the Coordinated Local Aquaculture Management Systems (CLAMS) operated by BIM, where all stakeholders operating in a bay should cooperate with the local community. The people dumping these farmed salmon carcases at Spiddal Pier and other locations around Connemara are breaking the Animal By-products Regulations and those responsible must be tracked down and prosecuted. What salmon farm did these salmon come from? Does that salmon farm have Pancreas Disease? Where were these salmon processed? Why were these salmon not transported to an approved disposal facility and rendered appropriately? AN angling body has urged the Scottish government to enforce a cull of farmed salmon in northwest Scotland. The Salmon & Trout Association (Scotland) argues that Loch Duart Ltd should be forced to cull following the publication of the latest sea lice statistics reveal that lice numbers at the companies sites have been over the industry's Code of Good Practice threshold on all but two of the last 27 months, despite the company treating these farms for sea lice on 67 different occasions. In March 2015, S&TA(S) observes that the company's farms reached 16 times the threshold designed to protect wild fish from infestation. S&TA(S) therefore believes that the Scottish Government should consider ordering an immediate cull of all the farmed salmon in these farms, to protect wild salmon and sea trout, along the lines of that instigated by Norwegian authorities in the Vikna district of Nord Trondelag, in order to protect migrating their wild salmon and sea trout in the spring of 2014. 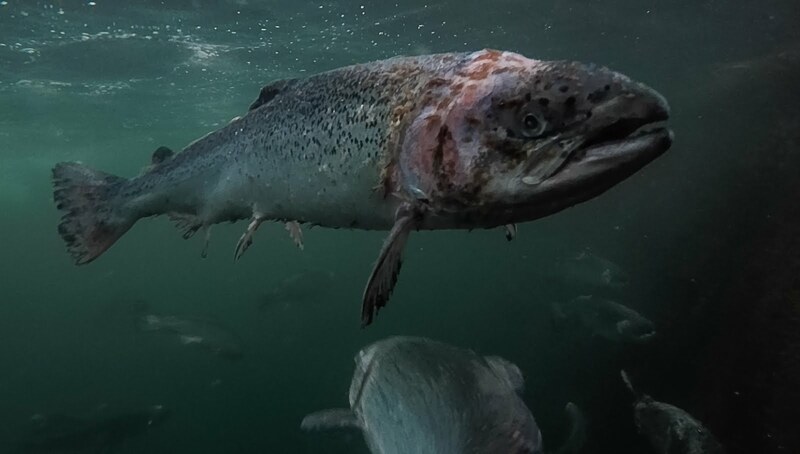 The S&TA(S) also wants to see the maximum biomass at Loch Duart's north-west Highland farms dramatically reduced to a level at which the company can demonstrably control sea lice, which figures currently suggest is only 600 tonnes, shared across all those farms. Hugh Campbell Adamson, Chairman of S&TA(S), said: "Wild salmon and sea trout are a key part of what makes Scotland famous, but the latest figures for wild salmon numbers are very poor indeed. We know that wild fish need a huge conservation effort. "What we simply cannot afford now is fish farms like those run by Loch Duart in the northwest Highlands pouring millions of mobile young lice into the paths of migrating juvenile salmon and sea trout. "The question for Scottish Government is 'how much more evidence of failure to control lice do you need before you call time on the bad fish-farmers?'"